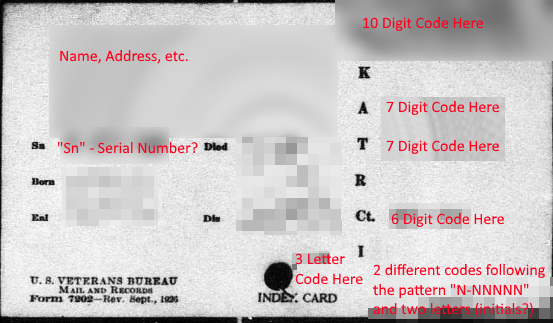 After a lot of failed Googling, I thought perhaps someone here might be able to point me to a resource that can decipher the meanings of the various codes on here. This is an index card from the 'United States Veterans Administration Master Index'. The collection from 1917 - 1940 is available to search and view online at FamilySearch. where we see that his Army serial number was indeed 1,209,111. 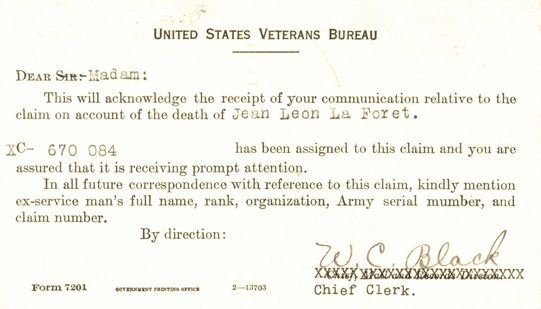 This series of blog posts by the professional genealogist, Janice M. Sellers, includes the pro-forma postcard Form 7201. Based on that, I think that the first code, C (or XC in the example above), was the claim number assigned to that individual. 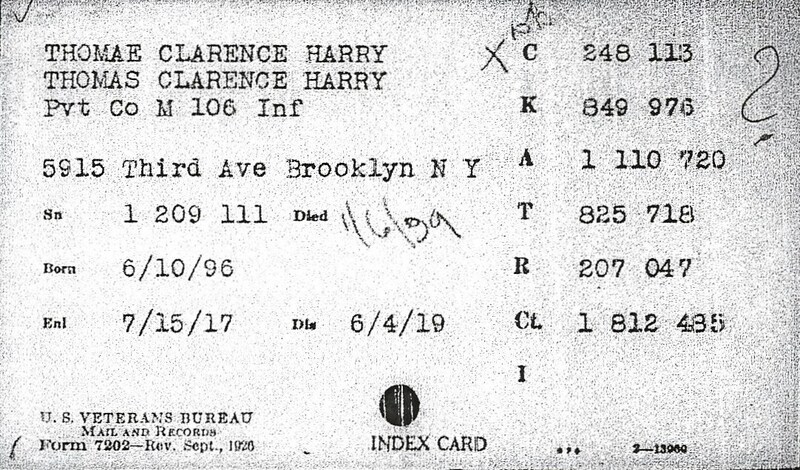 In the example of Clarence Harry Thomae above, the claim number would thus be XC 248 113. Not the answer you're looking for? Browse other questions tagged united-states military world-war-one records or ask your own question. How much influence did the Zimmerman Telegram have?